For the past several versions, JMP users have been able to customize their menu bar on Windows. They can add new menu items, rearrange the existing ones, or simplify their user interface by removing items they don’t use. 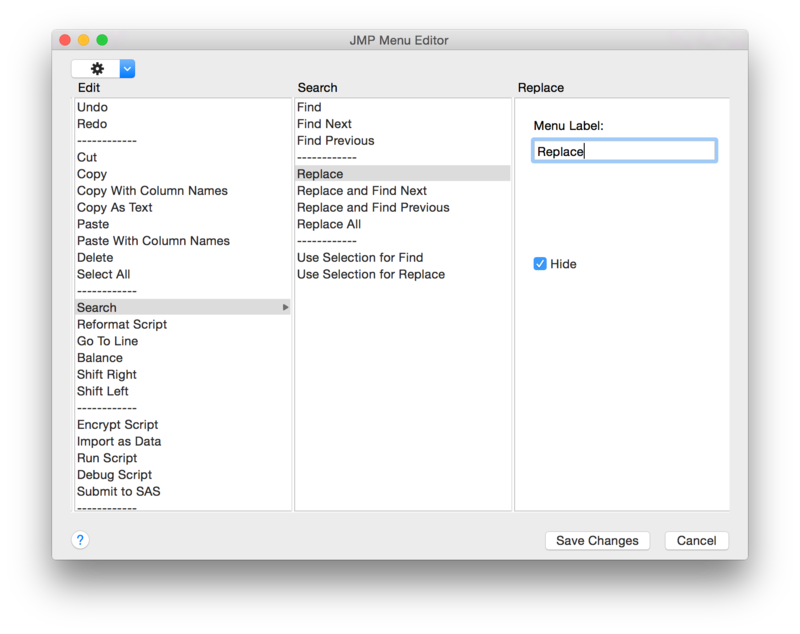 Now Mac users can do these same things in JMP 12. 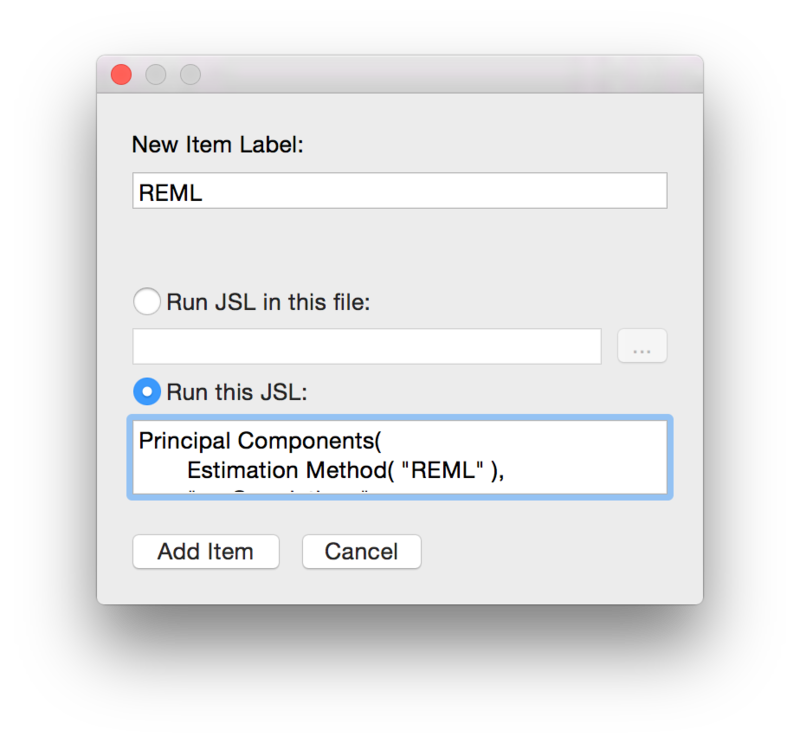 Users can create new menu items to run simple JSL snippets or complex scripts, allowing them to tailor JMP to their specific application. Here’s an example that adds a new command to launch Principal Components with specific options preselected. We hope this new flexibility allows you to streamline your JMP workflow and increase your proficiency.